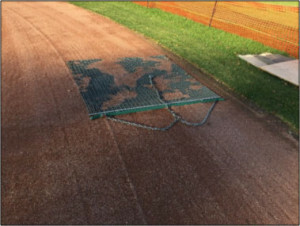 Dragging is the most basic task in maintenance of a baseball or softball field. 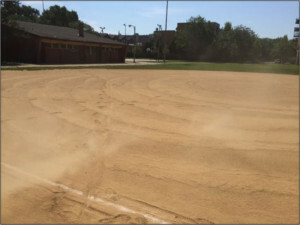 It is usually the first thing done to the field after a game or practice. 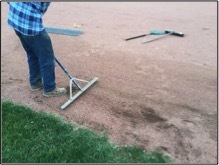 Proper dragging procedures can make or break the quality of your infield. In this article we take a closer look at a seemingly simple task. First, let’s review why we drag the infield. During games and practices the players disturb the soil, creating divots and cleat marks while leaving clods of soil behind. These clods are unsightly and can contribute to bad hops. If it rains before the field is dragged to break up the clods and re-distribute the soil, the clods can “melt” and later harden, leaving a bumpy, uneven surface. Dragging breaks down lumps of soil to smooth the surface (Figure 1). After a field is dragged, it is uniform and visually appealing. So we drag the infield for both functional and aesthetic reasons. It is worth noting that while dragging intentionally disrupts the surface, our goal is to move as little soil as possible. This helps preserve the surface grade. During routine maintenance your goal is to groom the material without pulling it from place to place. Figure 1: Dragging provides both functional benefits such as consistent ball response, and aesthetic benefits such as a smooth, uniform surface. There are three main types of drags: screen drags, nail drags, and finish drags. Each tool has a different purpose and should be used at the proper moisture content. 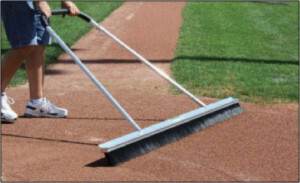 A screen drag is the “bread and butter” of your infield maintenance tool arsenal. This drag abrades the soil clods, filling in cleat marks and other depressions. It should be used when the soil is reasonably dry and has a friable consistency (Figure 2). If a topdressing layer such as Magic Mix or calcined clay is present, the screen drag interacts mostly with the topdressing material. Screen dragging helps to keep the granular topdressing separated from the base soil below. A screen drag should be used after every game or practice. Screen drags come in a variety of sizes and configurations; the largest types tend to sling more material when turning, so avoid using very large or heavy screen drags. Some screen drags are fitted with a leveling bar in front (Figure 3). This helps even out the soil before it is abraded by the metal screen. 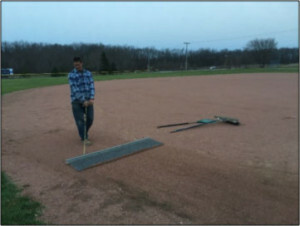 A nail drag is a very valuable tool for maintain your infield, but it must be used with great caution. The main reason for nail dragging is to cut down small undulations, permitting the looser material to be smoothed out by a subsequent pass with a screen drag. The drag should never penetrate more than ¼-½” deep. Check the consistency by inserting a key into the ground- if the soil offers some resistance but the key penetrates it and comes out clean, the moisture is perfect for nail dragging. Scarifying too deeply or at too high a moisture content can damage your infield in a hurry. 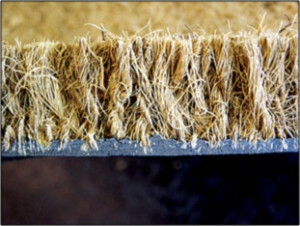 Nail dragging too deeply will create a loose, dusty surface once the material dries (Figure 4). 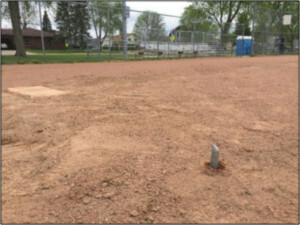 The loose soil is easily displaced during play or by the elements and creates high and low spots on the infield. Some of the soil migrates into the grass edges where it forms a lip. Once it is overly loosened, the infield must be watered and then rolled to firm it up again. Opening the skin up before a rain will permit more of the water to soak in, rather than running off the surface, so avoid this practice. 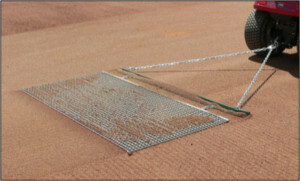 Figure 4: A dusty infield produced by the combination of poor-quality material and excessive nail dragging. 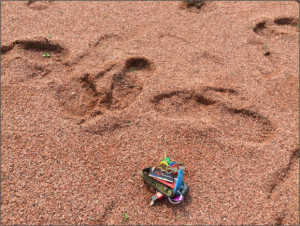 Note the footprints in the dry material; when wet this field will become very messy. A common misconception is that nail dragging a wet field repeatedly will help dry it out. Infield drying is mostly governed by the weather conditions- temperature, humidity, wind, and sun. If the field is firm enough to walk on, cautiously nail dragging your field one time will help expose more surface area to the air and speed up the drying process. But nail dragging repeatedly will only mix the dry material on top with the wetter soil below, actually slowing the drying rate. If the infield is not firm enough to walk on without creating footprint impressions, stay off the field!! Figure 5 demonstrates such a scenario. It is very tempting to try to dry the field out – every seasoned groundskeeper has learned this lesson the hard way. The best solution is to do nothing until the field has dried enough to firmly support foot traffic. Figure 5: This infield is too wet to play or work on. Soil did not stick to this person’s shoes because of the granular topdressing layer, but players with cleats will quickly wreak havoc on this field. In addition the footing would be poor, exposing the players to a risk of injury. Nail dragging this field would only draw moisture to the surface, compounding the problem. The field must be given time to dry before it is worked on. Using a soil with the proper balance of sand, silt, and clay would also help this field remain firm after a rain. Excessive nail dragging also contributes to “sinking” of topdressing material, creating a need to purchase and apply additional material. 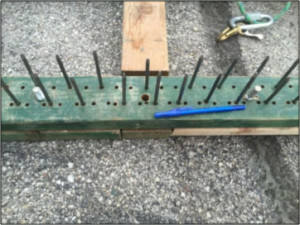 The tines of a nail drag should never be wider than 1/4” which is the size of a 40d (“40-penny”) common nail. Bolts should not be used to construct a nail drag- they are too aggressive and their flat bottoms tend to create more surface disruption than the clean incisions produced by a sharp nail (Figure 6). Figure 6b: Improper construction using ½” zinc hex bolts. This drag is much too aggressive and will produce a washboard pattern on the infield. The third drag category is finish drags. This tool can be used to remove any windrows or lines remaining after screen dragging. Examples include cocoa mat drags and tennis court brooms (Figure 7). The main job of these drags is purely aesthetic, as they put a beautifully groomed finish to the field. There is one exception to this rule; when the field is wet and quickly clogs your screen drag, a cocoa mat drag can be used to float over the surface, though this process does little to actually level the soil. Before dragging, remove the bases and cap the anchors with foam plugs. You can now drag directly over the anchors without filling them with soil. If the bases are left in, high spots will develop as the drag deposits soil next to them. All dragging procedures should be conducted in alternating directions. When a “zamboni” style pattern is used one day, drag in circles the next day (Figure 8). Sometimes more than one pass is needed with a screen drag to completely smooth the surface. In this case be sure to go in a perpendicular direction with the second pass. On an all-skin softball field, resist the temptation to start in the center of the field and work outward. This is the number one cause of “bowled out” fields, which develop a large lip along the outfield perimeter and collect standing water in the center. 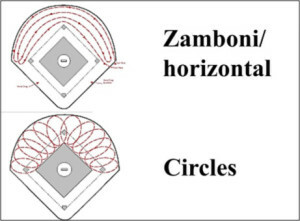 On an all-skin field either begin at the outside and work inward, or use a zamboni pattern across the whole field, changing your direction each day. Be sure to stay at least a foot away from the grass when dragging (Figure 9). This sounds like an easy rule to follow, but every groundskeeper has been guilty of violating it at some point. This is just plain lazy. Get off the vehicle and hand rake the edges to avoid dragging soil into the grass. Edge maintenance is already the biggest pain in a groundskeeper’s side, so we have avoid making more work for yourself later. The most widespread dragging error is excessive ground speed. We can’t overstate the importance of going S-L-O-W!! The pace of dragging, even with a vehicle, should be no faster than a brisk walk. Yes, you have 4 more fields to drag, yes it can be boring, but you must not drag your field at a high speed. This process alone can be responsible for destroying a perfectly graded infield skin in a single season. Fast dragging slings soil around the field and creates a wavy pattern in the soil. It’s also imperative that the correct drag is chosen to match the soil moisture. This can only be learned through experience. Figure 9a: When dragging the infield always stay at least a foot away from the grass. This rule applies whether the drag is being pulled by a vehicle or by hand. Even when caution is used, a screen drag can create windrows of topdressing on either side, which are easily kicked or washed into the grass. 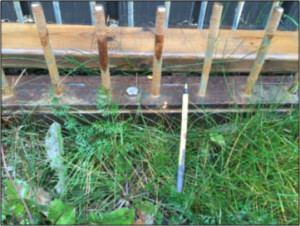 Figure 9b: Use a hand rake to carefully smooth the soil adjacent to the grass. 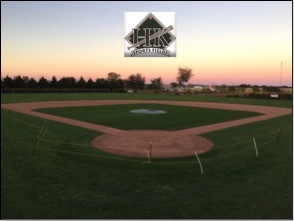 Dragging your infield with the correct tools, in the correct manner, at the correct time will ensure your infield stays safe, playable, and beautiful for several seasons. Alternate directions, go slowly, stay away from the edges, and keep off the field if it is too wet. Check out other installments of the H&K Maintenance Minute on our website, where we examine other field management tips to help your facility sparkle. Happy dragging!